Amsterdam, December 30th, 2003 – As the year 2003 draws to a close it’s time to take stock. During the first half of 2003 Otrabanda set up shop in the Benelux, UK, USA and Japan and after Womex we added distributors in southern Europe. The Otrabanda distribution network has grown to include Music & Words in the Netherlands, Belgium and Luxembourg (central.distribution@musicwords.se ), Stern’s Music in the USA (ken@sternsmusic.com) Sterns in the UK (ian@sternsmusic.com), Ahora Corporation in Japan (megumita@abox.so-net.ne.jp), Tradisom in Portugal (info@tradisom.com), and starting in 2004 at SED/Socadisc (jrsed@club-internet.fr) and Ventilador Music (ventilador@ventilador-music.com). Otrabanda Records are also available on a .99 US cent per track, legally downloadable basis at www.calabashmusic.com. Together with his lead guitarist Rudy Emerenciana, Oswin Chin Behilia performed for several radio programs at this year’s WOMEX in Sevilla. They included Charlie Gillet’s BBC 3 and World Service concert, (aired on 30 December 2003) the BBC World Service’s Outlook, an Afropop item with Banning Eyre, and San Francisco’s Tangents Music Radio and PRI’s program The World (a co-production of BBC World Service, Public Radio International and WGBH Boston). Oswin’s concert tour of the Netherlands just prior to the fair was a great success and we will soon be listening to the concert tapes to assess the possibility of a live CD in the not too distant future! Bendishon disfrasá/Blessing in Disguise Oswin’s first international release with us is now a current Hot Pick at Afropop. 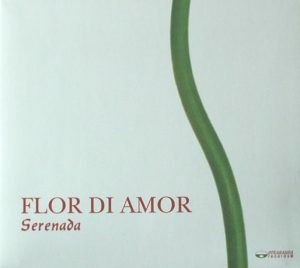 Our latest release is scheduled for January 2004 and is entitled Flor di amor by the ten piece, Serenada from Curaçao. 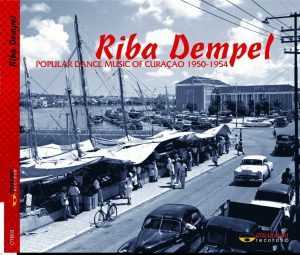 British critic Sue Steward wrote in her review of Riba Dempel in the final issue of Songlines in 2003: “The former Dutch colony of Curaçao is well established in the tourist industry but so far hasn’t figured much in world music lists. This collection of sweet 50’s dance music will surely change that.” As far as we are concerned, this is the first in a series and there is more in store from the Caribbean region in general, we will keep you posted! We would like to take this opportunity to thank all those who have supported us in promoting, selling and you the buyers of Otrabanda Records.